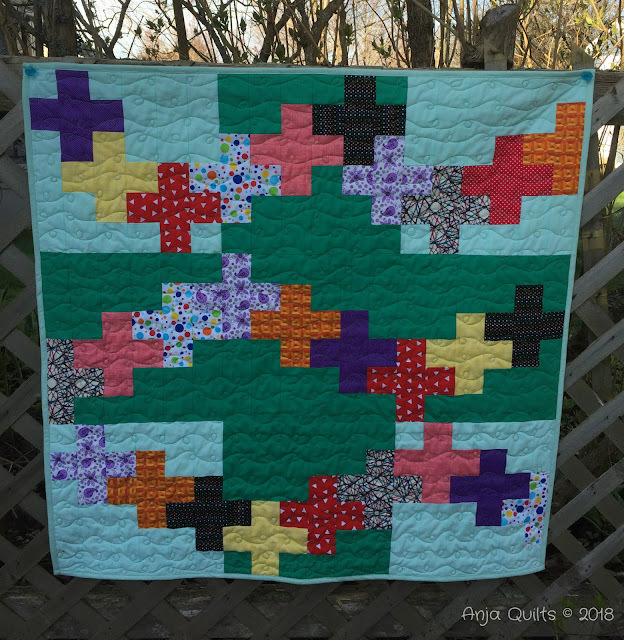 Have you seen the new QAL being hosted by Sandra @ Musings of Menopausal Melon? It's a free pattern, and there is still lots of time to join. You can find more details about the QAL here. I'll be sewing along with the QAL, but I had already started a quilt. Here's my version using Kona Ice Frappe and Kale for the background fabrics. I attempted a new quilting motif. It was supposed to be straight lines with a circle added. My straight lines turned into wavy lines, and my circles ended up alternating up and down from the line. Although it's not what I intended to do, I like it. I love that we have more daylight, but the challenge is finding the right time and location in order to capture the true colours of the fabrics. And an indoor photo. I think this most accurately reflects the true colours. The sewing instructions haven't been released yet, so there is plenty of time to jump on board and join the adventure. Stay tuned to see my next version using a print for the background and Kona solids for the pluses. I love that pattern but was too busy to take part - just have too many things going on - love yours and that sewing machine which I'm sure I have mentioned before. Lovely interpretation of the QAL quilt!! The photo with the sewing machine is tops!!! Looks great I especially like the green. The quilting might not be what you intended, but it is really fun and is perfect for the quilt top! 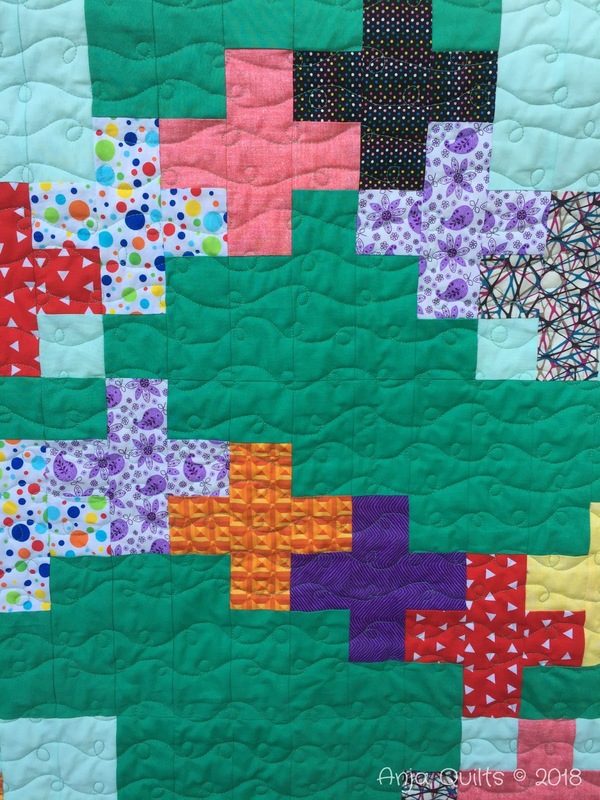 I really like your version - and that quilting is really fun! I’ve actually been thinking about joining this QAL. 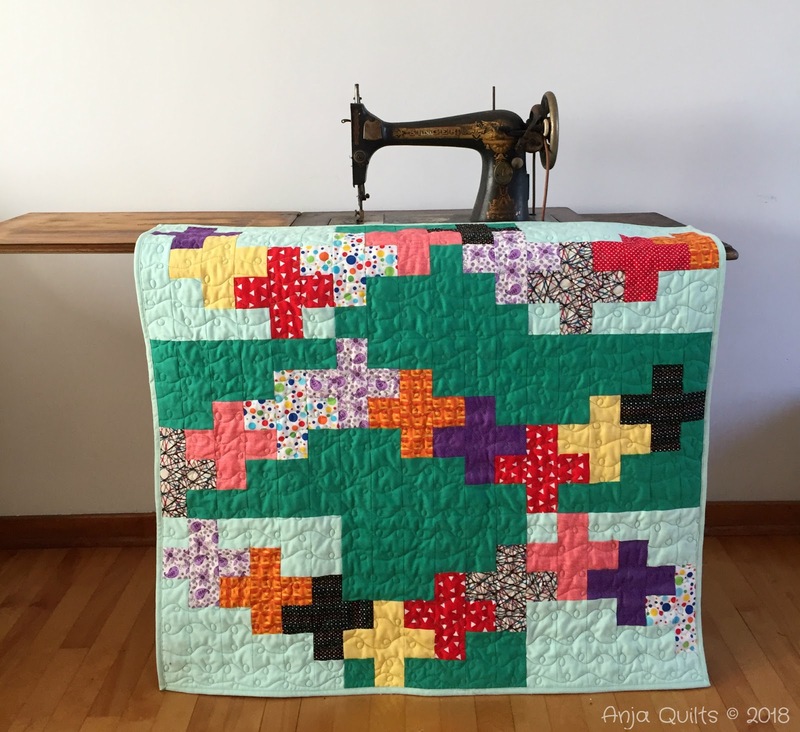 The quilting looks spectacular Anja. I love that you are adventurous in your colour choices (love the Kale!) but your quikting too! You are an inspiration Anja! 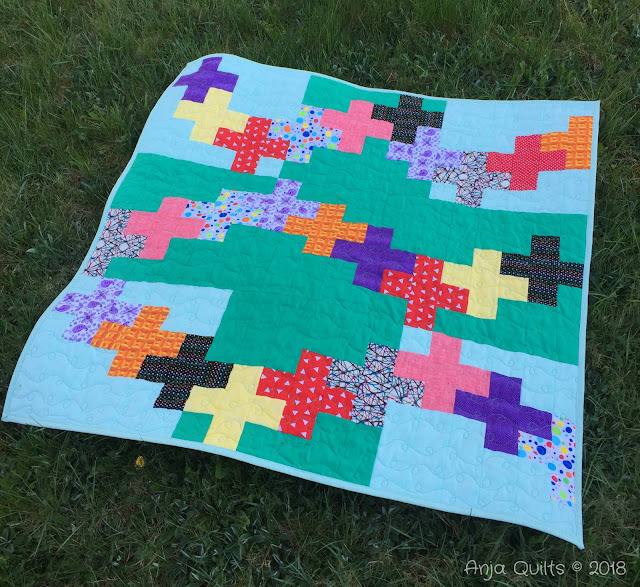 Such a great looking quilt. How different the colors look from outside shot to inside. Wonderful job.